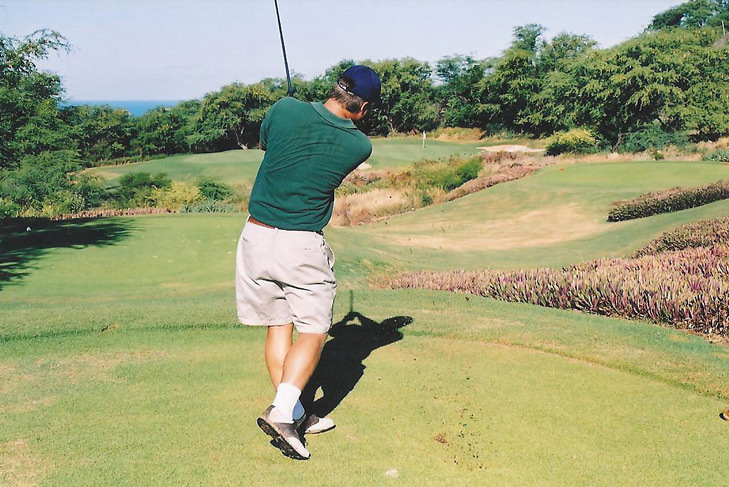 The Challenge at Manele Hole 2: Possibly the most difficult par 4 on the course, this dog leg left makes the player hit driver to a relatively narrow looking landing area in order to leave a shorter approach to the uphill green surrounded by trouble in the form of three bunkers and trees to the left. 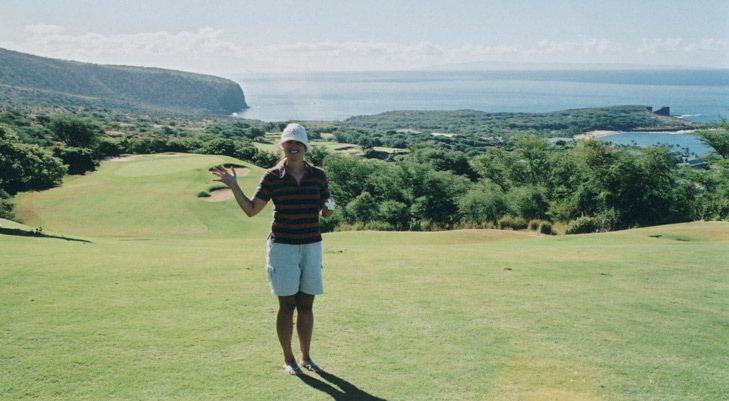 The Challenge at Manele Hole 3: This is a short and rather uneventful, but pretty par three. The bunker in front of the green is the only real danger of consequence to be avoided. The Challenge at Manele Hole 5: Another long par 4, this one needs a good drive to leave a mid iron to the green way below the fairway. The views on the approach are unparalleled as three other islands can be seen on a clear day. 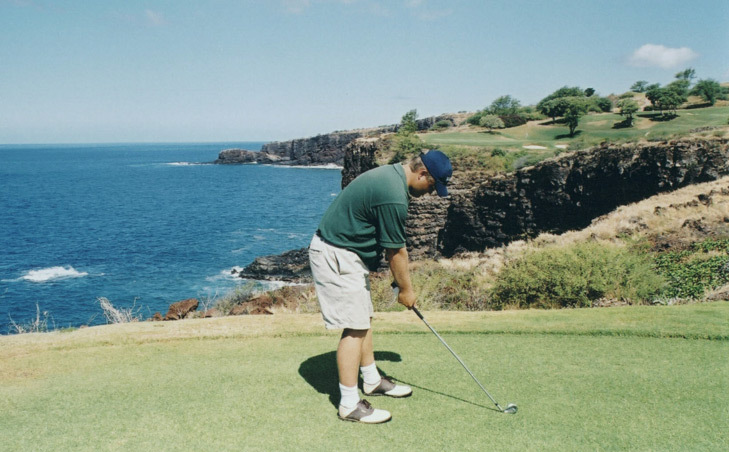 The Challenge at Manele Hole 11: This is a long, downhill right to left par five that features a beautiful setting for the green, seemingly perched above the cliffs (even though it is not that close). The fairway bunkers on the left should be challenged to shorten the hole, but three more conservative shots can do the trick too. 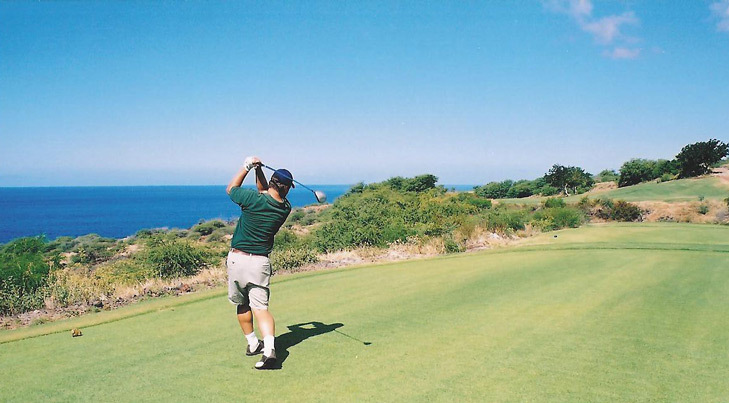 The Challenge at Manele Hole 12: The signature hole is a fun test of golf and provides the first water hazard of the round: the Pacific Ocean. 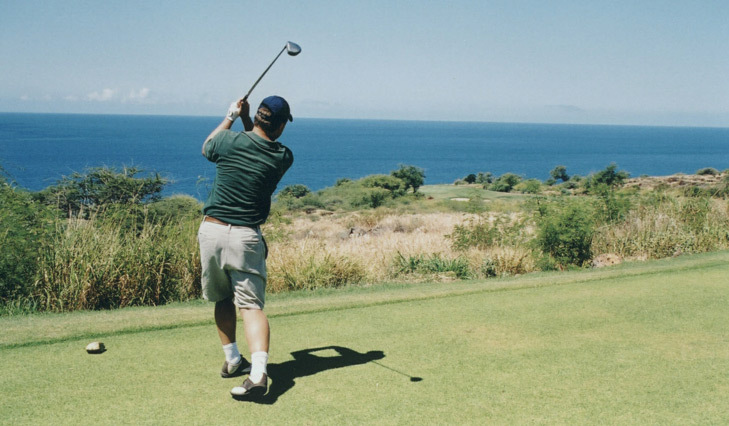 It’s all carry to the green and anything short or left will tumble down the steep cliffs to the water below. The views are awesome and the green is tough to putt as well. The Challenge at Manele Hole 16: A massive downhill par 4, the player can let loose the driver as the fairway is wide. 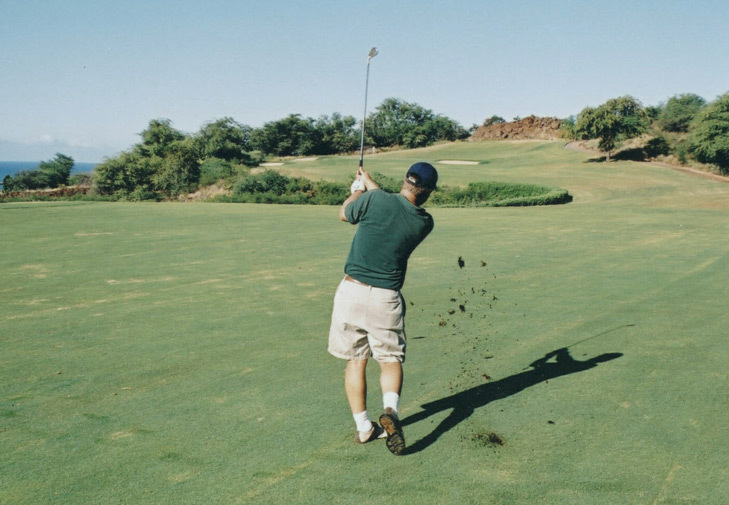 The second shot will be played downhill again to a green that seems to be perched on the edge of existence. The Challenge at Manele Hole 17: This is the best par four hole on the course for sure and one of the most challenging drives anywhere. The tee box is perched on one side of a cove and the fairway is on the other. The hole then doglegs right around the cliffs down to a shallow, but wide green, with a huge bunker short and hazard right and long.